The Hawk is in use by the RAF as a trainer and point defence fighter, the T-45 Goshawk version is used by the US Navy & USMC as their advanced jet trainer. Additional information about the British Aerospace Hawk Graphic: The British Aerospace Hawk is over 20 years old but still one of the best light-attack and trainer aircraft in the world. 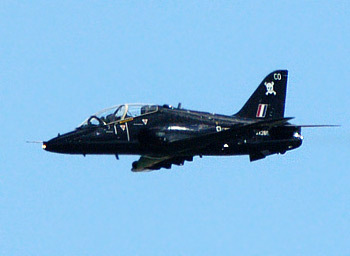 Siteseen Ltd. are the sole copyright holders of this British Aerospace Hawk picture, unless otherwise stated. We only authorise non-commercial picture use and particularly encourage their use for educational purposes. This British Aerospace Hawk picture is not in the Public Domain. 3) Use of this British Aerospace Hawk picture, or any of our pictures on websites re-distributing copyright free material is strictly prohibited.